The first all-in-one sampler keyboard saw the light of day almost 30 years ago. 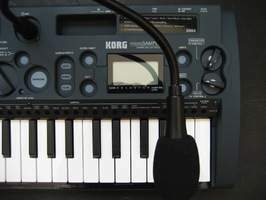 Born under the Californian sun in 1981, the Emulator provided four or eight voices, a four-octave keyboard and 128 KB of RAM that allowed the user to save four seconds of audio data at 8 bits/28 kHz. "Play a turkey" said the ads... you could even play eight turkeys if you paid $15,000! In those days, big Fairchild systems were the rulers and the Synclavier could not sample audio yet. 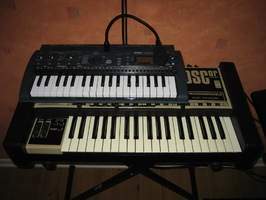 The Ensoniq Mirage was the first to make this concept affordable in 1984. 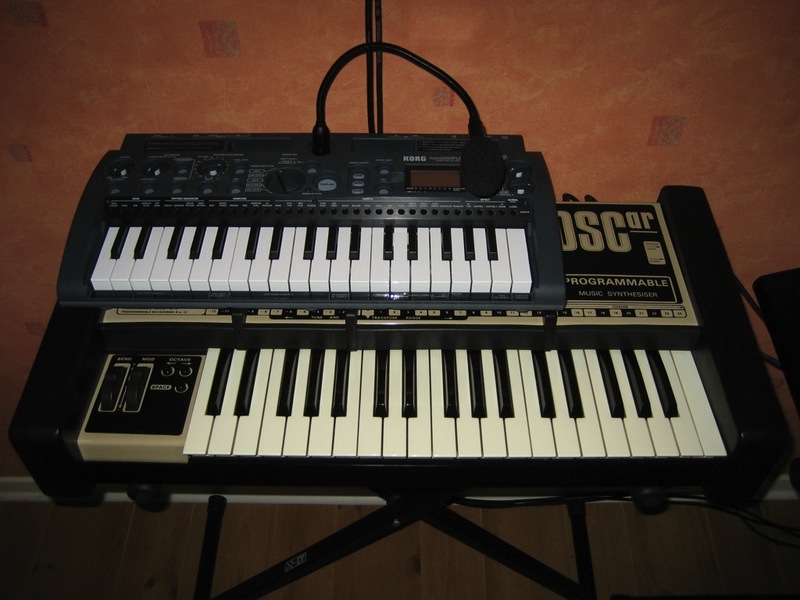 And the arms race began: memory, resolution, sample rate, polyphony, sound synthesis section, effects, sequencer... E-mu, Ensoniq, Kurzweil, Akaï, and Roland became the major players. And Korg joined in the adventure in 1986 with the DSS-1. 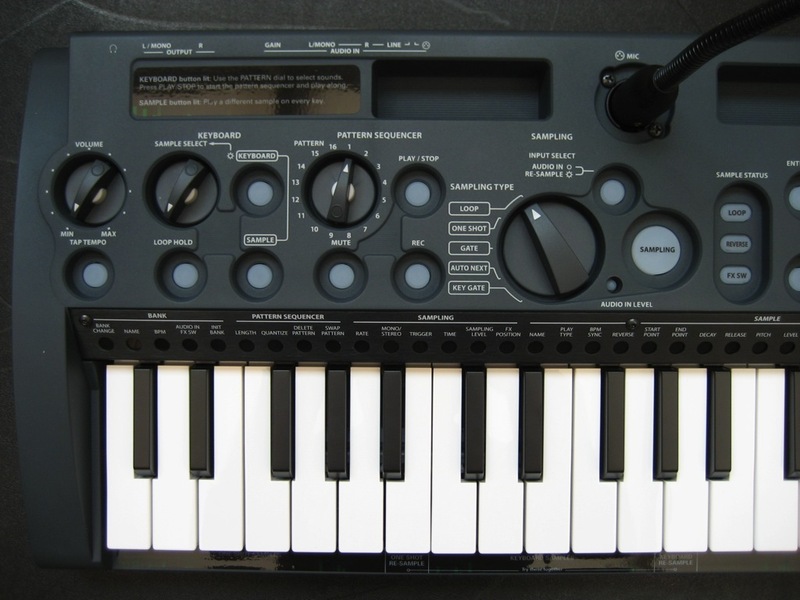 With the advent of computers and their giant sample banks, the sampler keyboard market reduced to zero, nothing... until recently, when Korg surprised everybody by launching a feather light sampler keyboard called MicroSampler. For whom, for what and how? 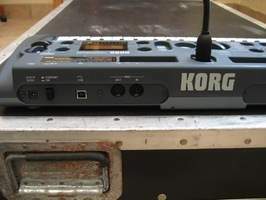 On the front panel you can also find an XLR connector for the gooseneck dynamic mic included. 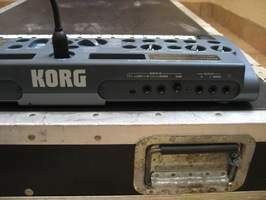 All other connections are on the rear panel: headphones out, stereo audio output and input on 1/4" jacks, Midi in/out, type-D USP port, power in, and on/off switch. 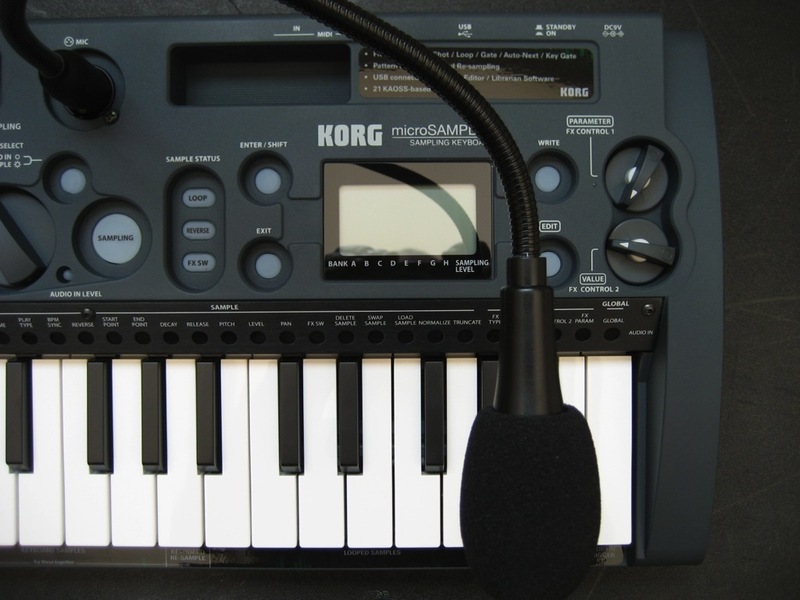 The USB port allows you to connect the keyboard to a computer to transfer samples and Midi data (see gray box). Under the hood, there's a closed compartment for six AA batteries that allow you to play for about four hours (battery indication with visual alert on the display), which is ideal to sample sounds on the beach or in the rain forest... Handling is rather easy and most controls are easily accessible since the unit is very slim. By pushing the "Edit" button and a key you'll access the edit page directly above it. The only issue arises with the "Value" encoder, which is not absolutely precise for parameter editing. We would have preferred increment/decrement buttons. 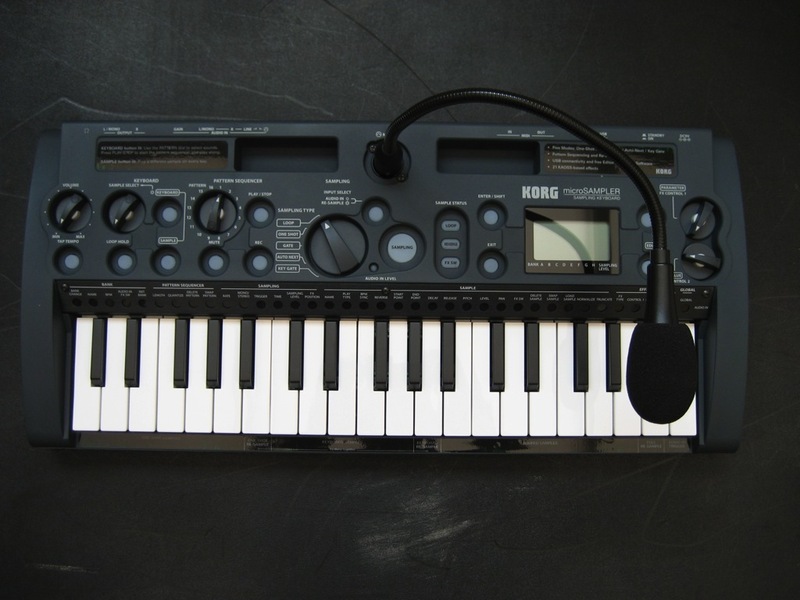 The MicroSampler is stereo and has 16 bit/48 kHz resolution, like all Korg products since the Trinity... Its permanent memory allows you to save eight banks of 36 user samples each (160 sec. per bank and only half that in stereo). You can use only one bank at a time after having loaded it into the internal temp memory. We don't know if audio data is compressed but 15 MB of internal temp memory correspond to 116 MB flash memory, in linear format. The polyphony provides 14 voices but samples that use time stretching require twice as much voices. The MicroSampler is provided with a sound bank stored in the internal ROM. It includes 36 samples and 16 patterns, some of which you can listen to here (drums, pitched, looped): Not very generous and poor quality... In "sample" mode, you can access the 36 samples dispatched over the whole keyboard in their original pitch, except the higher C key dedicated to the stereo audio input. In "keyboard" mode, the current sample is applied to all 37 keys; the second C from the left corresponds to the original pitch. 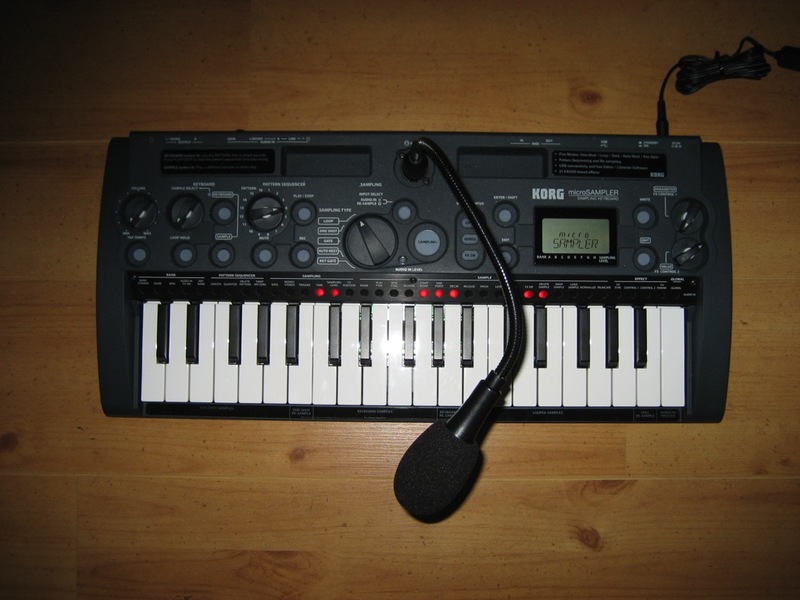 You can transpose beyond this pitch range, even with an external master keyboard! If other samples are looped while you switch to this mode, they will continue playing back. On the contrary, you have to release the notes to change the sample. To use the sampling section of the MicroSampler simply select an input (mic or line) and adjust the selector and the input gain while watching the LED indicator on the front panel. Press the C key on the right to listen to the source signal. If it is a rhythm loop, you can enter the tempo on the fly using the Tap button and/or, if needed, fine tune it using the editor. Then, select the sample type with the dedicated selector: "loop" to repeat rhythms, "one shot" to extend the playback after you released the key, "gate" for standard playing, "autonext" to auto assign samples to successive notes, and "key gate" to sample only one note for a given time. Once the internal flash memory is full, the USB port is the only way to exchange samples with the outside world. This means that you need a computer (PC or Mac), a driver (XP/Vista/Seven, OSX) and an editor/library software. These are not provided with the product but they are available on the manufacturer's website. Besides the proprietary format, the editor software can only import mono/stereo linear Wav and Aiff files at up to 24 bits and 6/12/24/44/48 kHz. These files are immediately converted into MicroSampler format. Samples at 44 kHz are converted into 48 kHz. For all other unmentioned sampling rates, samples are loaded but transposed. So you'll have to re-pitch them manually or with the mouse, hmm...! The samples can also be exported to Wav and Aiff formats. Sample editing functions are somewhat limited: loop, pitch change, time stretch, invert, start and end points change (percentage, absolute, number of bars). The following parameters are also available: decrease, release, tune (in half-tone and cent steps), volume, velocity to volume, pan, and effect send (on/off without adjustment possibility). All these controls are non destructive. On the other hand, you also get destructive functions to normalize samples, change the gain and shorten them by changing the start and end points previously set. All these functions are destructive and definitive. Everything is very classic and it can't compete with more powerful software or hardware samplers. In fact, there is noauto loop points detection or sample combinations, or fade in/out, or loop slice, or sampling rate conversion in play mode (except if you re-sample everything manually... yeah, right! ), or resolution conversion, or anything else. Same thing regarding the lack of sound synthesis parameters like filters, LFO or complex envelope curves. Finally, it is not possible to create banks of multisamples that overlap or are triggered by velocity. Each bank can include 16 rhythm patterns for a total of 64,000 notes. Each pattern includes 1 to 99 bars with up to 16,000 notes. There are two recording modes available: real time and overdub (new notes played are added to every new loop); no step-by-step mode... You can use the maximum resolution (96 BPM) or quantize the input (from 1/8 to 1/32 and 1/3 notes). The MicroSampler allows you to switch to recording mode while a sequence is already being played back, so that you can save those moments of sudden inspiration... nice! In re-play mode, the samples of each note can be cut on the fly which is ideal for live performances considering that you can reach the maximum of 16 pattern memories really quick. If you are looking for editing possibilities, think twice: you can only delete all notes corresponding to a sample in a pattern, a full pattern or all patterns and that's it! Needless to say that the MicroSampler was not conceived for very precise sequences. 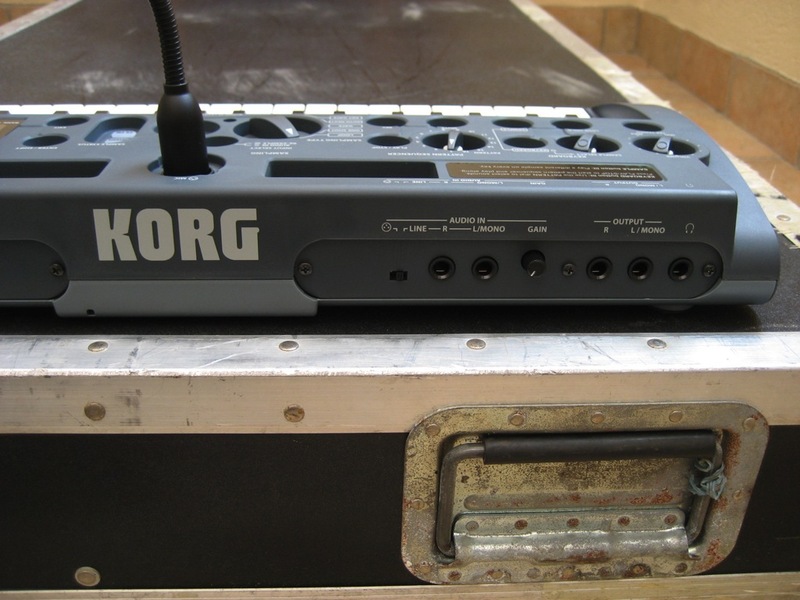 For over 20 years, Korg workstations have been exemplary regarding integrated effects. 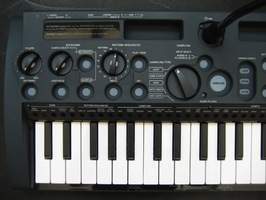 Without competing with its big brothers, the MicroSampler hosts a high-quality effects section based on the Kaoss Pad series. You can obviously use them for sampling and re-sampling applications. You get 21 different and sophisticated algorithms with tempo sync to the time parameters. Only one effect setting per band is saved. The menu: stereo compressor, multimode resonant filter with dedicated LFO, four-band parametric EQ, distortion, bit crusher, reverb (different algorithms: hall/plate/room), delay (different types: stereo, LCR, pan, LFO modulated), tape echo, chorus, flanger, vibrato, phaser, tremolo, ring modulation, grain shifter, pitch shifter, vowel filter, and real-time loop generator. Most effect ins and outs are stereo and provide numerous editable parameters (10 to 15). The quality effects section is ideal to process samples before or after recording them and it is a good asset of the MicroSampler. 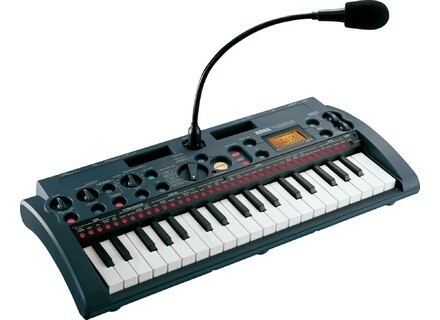 It's just a pity that Korg did not add a vocoder! The MicroSampler revisits a 30-year old concept with modern technologies. The results? Extremely light weight, mobility, permanent memory, real-time sampling, integrated effects, basic sequencer, and connection to a computer. 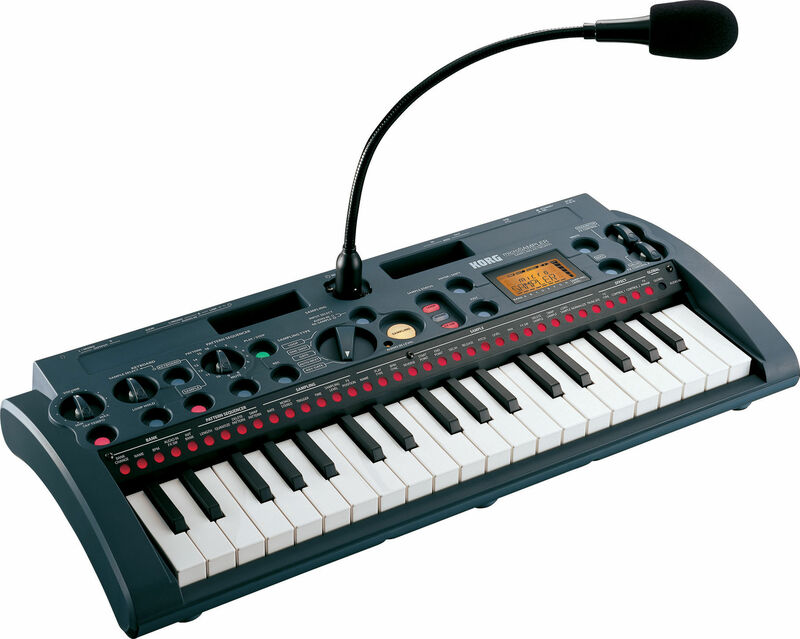 With its small keyboard, basic editing, integrated mic and standalone capability, it will be best used for mobile or live applications; it cannot compete with software solutions in a studio. The ergonomics could be better considering the target users: better access to the controls, remote sampling start, standard-size keys, more banks... Finally, the MicroSampler is a nice compact tool which is less a toy than it seems, and it is just waiting for you to take it for a ride somewhere.